New book, 192 pages. The discovery of the previously lost Gospel of Judas Iscariot has electrified the Christian community. 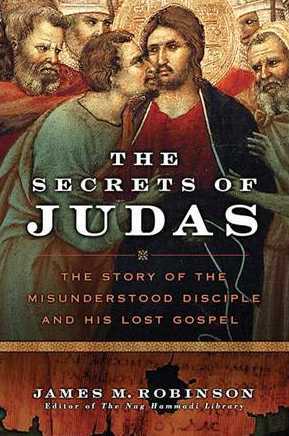 What Matthew, Mark, Luke, and John tell us about Judas, the disciple who betrayed Jesus, is inconsistent and biased. Therefore, the revelation of an ancient gospel that portrays this despised man as someone who saw his role in the Passion of Christ as integral to a large plan - a divine plan - brings new clarity to the old story. If Judas had not betrayed Jesus, Jesus would not have handed over to the authorities, crucified, buried, and raised from the dead. Could it be that without Judas, the Easter miracle would never have happened? In this book, James M. Robinson, an expert historian of early Christianity, examines the Bible and other ancient texts and reveals what we can and cannot know about the life of the historical Judas, his role in Jesus's crucifixion, and whether the Christian church should reevaluate his intentions and possible innocence. Robinson tells the sensational story of the discovery of the gospel attributed to Judas, and shows how this affects Judas's newfound meaning for history and the Christian faith.